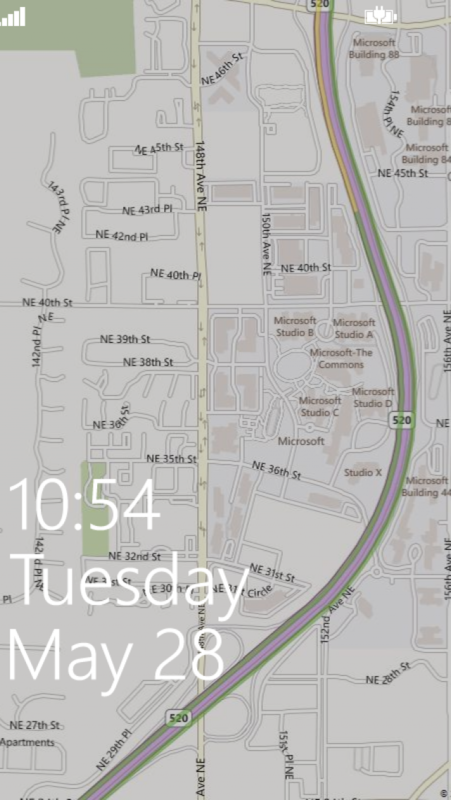 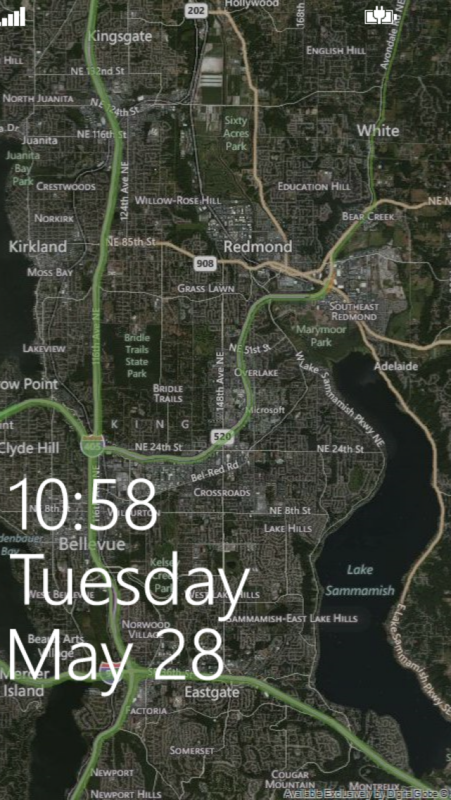 LockMapper keeps your lock screen and live tile up-to-date with a map of your current location, at all times. 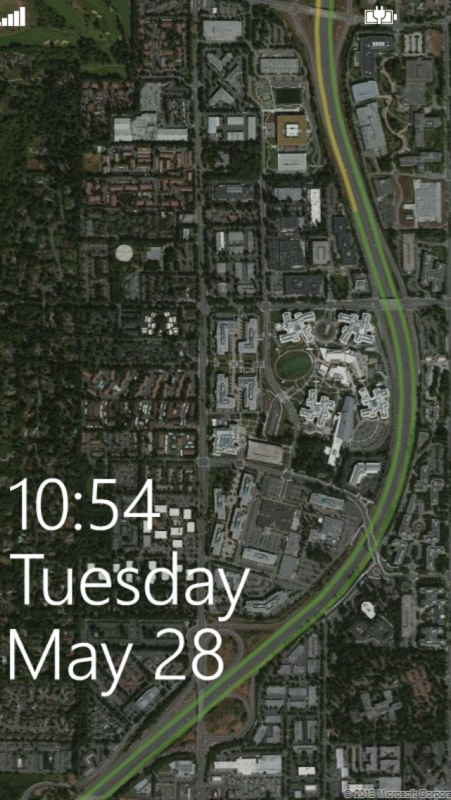 It constantly updates in the background, but is smart enough to only update when you have moved, and at intervals designed to pro-long battery life, and reduce bandwidth usage. 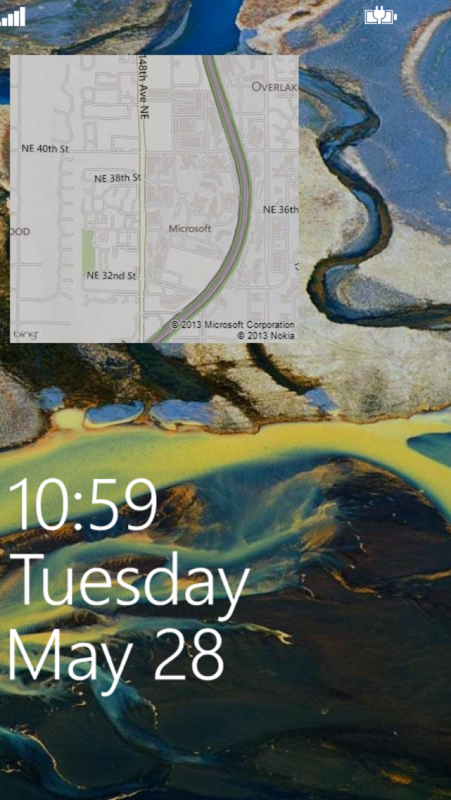 Another bandwidth saver is the ability to have a mini-map that only uses 20% of the data of a full map, and allows you to use the Bing image-of-the-day, or an image of your own as the main wallpaper. 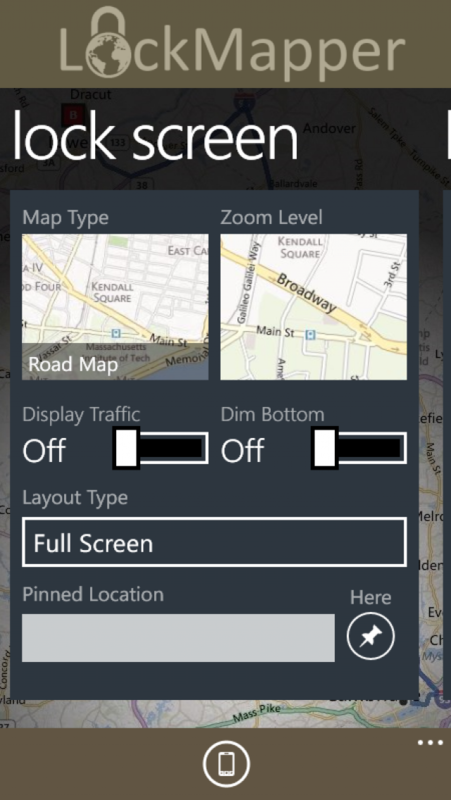 You can customize what type of map to use (road view, aerial view, weather radar), and what zoom level you want.